A-PDF Page Cut - Break PDF pages to more pieces. A-PDF Page Cut does NOT require Adobe Acrobat, and produces documents compatible with Adobe Acrobat Reader Version 5 and above. Limitations: Watermark in resultant file. This download (a-pdf-pc.exe) was tested thoroughly and was found 100% clean. Click "Report Spyware" link on the top if you found this software contains any form of malware, including but not limited to: spyware, viruses, trojans and backdoors. A-PDF Split 4.6 - Split large Acrobat PDF files into smaller pdf files. A-PDF Content Splitter 5.2 - Split PDF files based on content. A-PDF Word to PDF 6.9 - Convert MS Word documents to PDF files with batch. A-PDF to Black/White 4.2 - Convert images to monochrome or grayscale in PDF files. 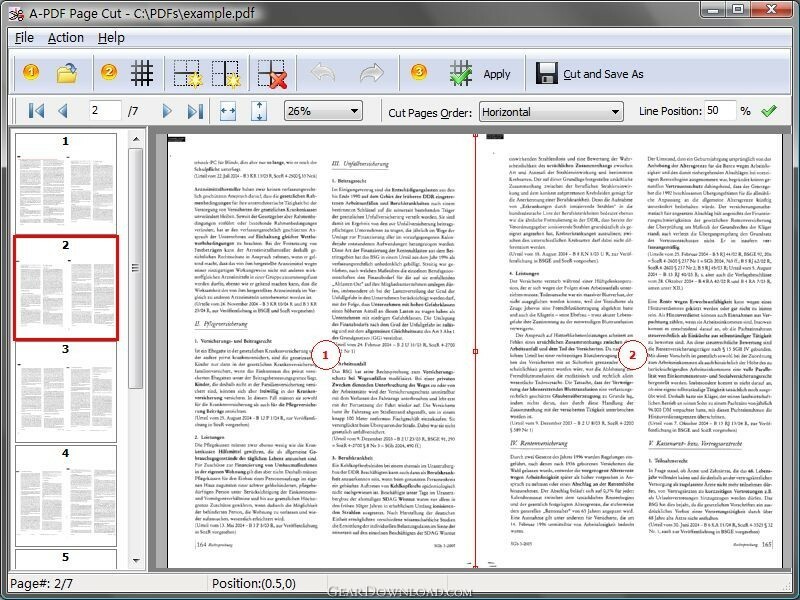 A-PDF Image Downsample 4.4 - Reduce size of images in Acrobat PDF documents. A-PDF Image to PDF 6.3 - Convert photos, drawings, scans and faxes into Acrobat PDF documents. A-PDF Image Extractor 4.1 - Batch extract embeded images from PDF files. A-PDF Password Security 4.6 - Change PDF files password security setting. A-PDF Page Master 4.7 - Organize Pages in Acrobat PDF documents.